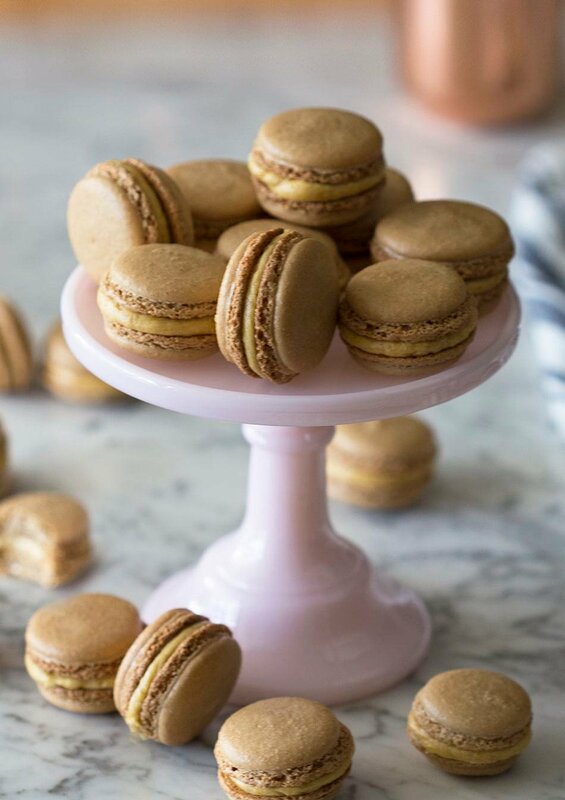 These pumpkin spice latte macarons are filled with all of my favorite fall spices sprinkled with powdered espresso and filled with a creamy spiced buttercream made with pumpkin purée. I was nearly shocked by how well these pumpkin spice latte macarons turned out! I’m literally shocked by how well they came out. Macarons can be tricky, it’s easy to end up with hollow, cracked or lopsided cookies. This time, I folded the mixture JUST RIGHT! I let them sit for almost an hour before baking and they were perfect. I’m also loving the spice combo I mixed up for these. I may even incorporate the combo into my next pumpkin pie. Fold the macaron batter until the consistency becomes marshmallowy. When it drizzles back into the bowl you should see a rope of it for a few seconds before it melts back into itself. Give the pan of pipes macaron shells a few good strong taps on the counter to dislodge any air bubbles. Before you bake them, leave the piped macarons out to harden until they are dry to the touch. Make sure your eggs are room temperature! And older eggs actually work better than fresh ones. Sometimes I think it’s amazing that a few simple ingredients can come together to make something so magical. 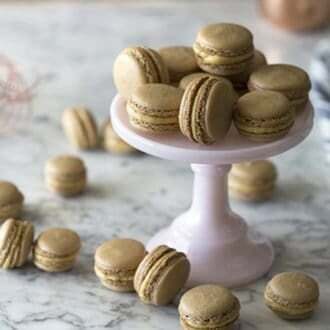 If you’ve tried these macarons then don’t forget to rate the recipe and let me know how you got on in the comments below, I love hearing from you! Delicate macarons filled with fall spices and a touch of coffee. They're filled with a delicious pumpkin spice buttercream. Beat egg whites until foamy, then add white sugar and beat until stiff peaks form. Sift almond flour and powdered sugar in large bowl. Pipe out one inch rounds on a baking sheet lined with silpat or parchment paper. Lift the baking sheet about six inches off the counter, drop it, then repeat. This is done to remove unwanted air bubbles. Allow to rest uncovered for about 40 minutes. Cream the butter and pumpkin puree. Mix well and scrape down side of bowl. Pipe a dollop on the back of a cookie and sandwich together. Wow, these are spectacular, I am still afraid to attempt homemade macarons, but your video is giving me courage! PSL macaroons?!? You are genius! I have got to share this recipe with my girlfriends! They will go gaga! I love macarons, but they’re one of those things that I typically buy as opposed to make because they just seem too darn intimidating. I love that you included a video with this recipe.. the flavor combo sounds AMAZING! Absolutely stunning! And with espresso in them? I’m drooling over here. Pinning for sure! One cup. Sorry, that didn’t make the transition to the new recipe format! Made these today and oh. my. gosh. These are the MOST delicious macarons I’ve ever made – and I don’t even like pumpkin! So excited to try this! How many macarons does this recipe yield? About 24 macarons! Let me know how they turn out! Enjoy! Amazing! 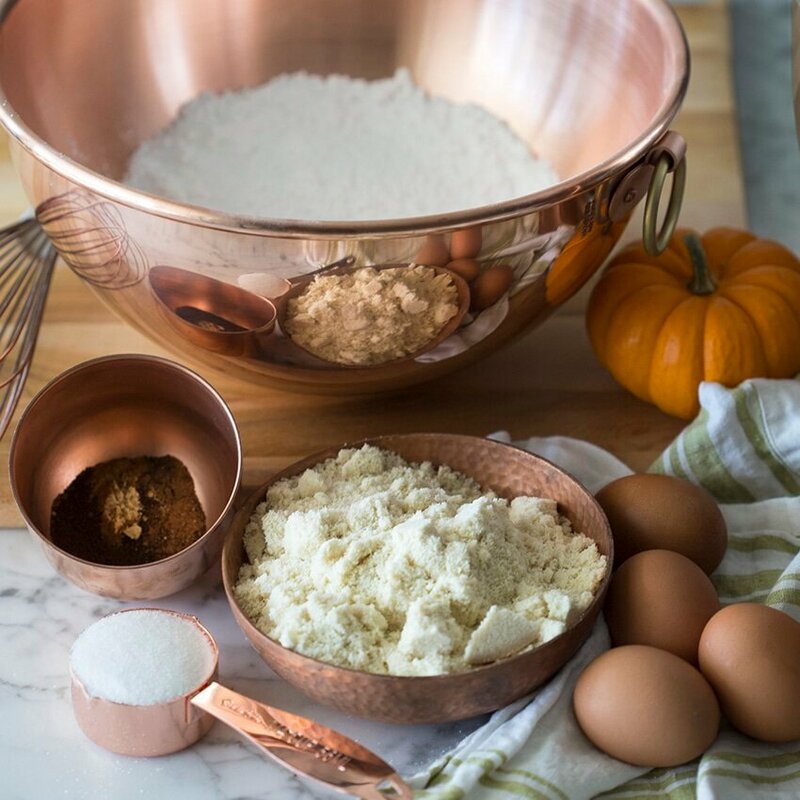 Pumpkin Buttercream to die for! Hi, how many Macarons you get from this recipe? Here it says 36, but in the recipe with painted macarons it says 12, using the same amount of ingredients. 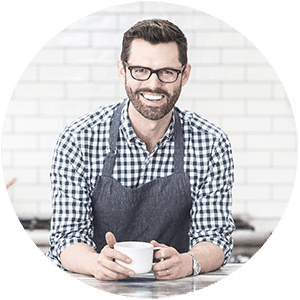 What else can be used instead of the tartar powder? How long would you say these stay good for? I’d love to make these in advance for my little ones pumpkin themed bday. TIA!